MONT'KIARA will soon welcome another residential development by UEM Sunrise Bhd. The developer, which is no stranger to the posh high-rise enclave, is offering a condominium called Residensi Sefina with a beach retreat theme. UEM Sunrise central region project director Ang Kee Ping tells City & Country that Residensi Sefina will bring a cruise ship concept to Mont'Kiara. “It promises a vibrant lifestyle, combining luxury with adventure,” he says. Residensi Sefina has an estimated gross development value (GDV) of RM300 million and comprises a 34-storey tower with a man-made beach. It is coming up on a three-acre freehold parcel in Jalan Kiara 3 — next to Mitraland Group Sdn Bhd's Kiara 1888 — on the border of Mont'Kiara and Kampung Segambut Dalam. “A monsoon drain cuts across the site, making planning quite a challenge but we took it as an opportunity to come up with the development's concept [of a beach retreat],” says Ang. The drain divides the land into two unequal parcels, so the condominium is being built on the bigger one and the beach — called Sandy Island — on the other. 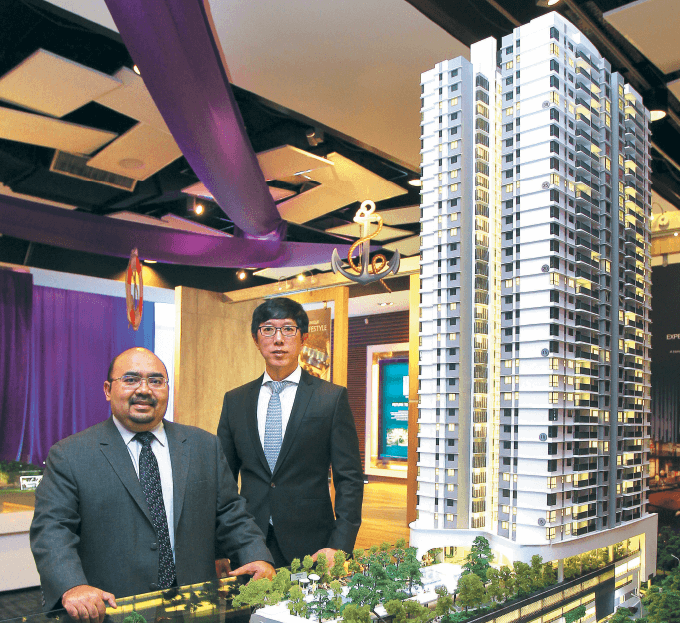 The tower houses 245 condos with built-ups of 1,300 to 1,700 sq ft. Prices start at RM1.1 million or RM830 psf. There are eight condos per floor and of these, the corner units have a built-up of either 1,500 or 1,700 sq ft and the rest 1,300 sq ft.
Residensi Sefina features a facility floor designed like the deck of a cruise ship. Called Star Deck, it houses a lap pool, secret garden, sun deck, Jacuzzi, yoga deck, sauna, reading pavilion, multipurpose hall and gymnasium. Residents also get to enjoy a spice garden, beach campfire site, therapeutic path, beach volleyball court, cabana, wellness garden, hammock garden and children's playground. Residensi Sefina was opened for registration earlier this year and about 1,000 people have expressed interest in the project, he adds. The project was soft-launched on May 23 and will be officially unveiled by end-July, when the show unit is ready. Earthworks have already begun and the development is due for completion in 2019. When it comes to amenities, residents of Residensi Sefina will find a number of malls and commercial areas — 1Mont'Kiara, Publika, Solaris Mont'Kiara, Plaza Mont'Kiara and Sri Hartamas — just 10 minutes away by road and the Garden International School and Mont'Kiara International School nearby. Despite the luxury developments in Mont'Kiara, its roads are narrow, creating a gridlock during peak hours. The road to Residensi Sefina is also steep, which slows down traffic further. But, explains Ang, Dewan Bandaraya Kuala Lumpur is working to widen the road to six lanes from four now for better flow. Moving forward, UEM Sunrise will be selective about the products it offers in the central and southern regions where its focus lies. “While every development will have its respective challenges, we are being selective about the type of products we launch, especially this year. For example, we are launching landed properties in Iskandar Malaysia as there is an abundance of high-rises there,” explains Zadil. However, Zadil declines to comment on remarks by UEM Sunrise managing director and CEO Anwar Syahrin Abdul Ajib in a recent Bloomberg article that the developer would dispose of some of its land in Iskandar Malaysia and use the proceeds for landbanking elsewhere. Sonia Hartono, property adviser for Hartamas Real Estate Sdn Bhd, opines that Residensi Sefina's location in Mont'Kiara and the built-ups and prices of its units make it a good investment. “Prices are rising everywhere. 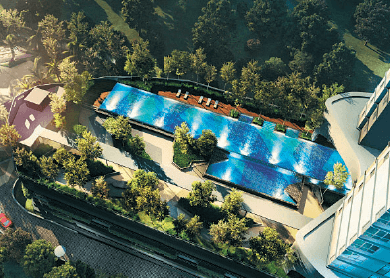 Some high-rise residences are already at RM750 psf while in KLCC, they are at RM1,900 psf. So, what Residensi Sefina is offering in Mont'Kiara is acceptable. In fact, prices in similar developments, like Kiara 9 by Mitrajaya, that were at RM800 psf three years ago, have now risen to RM1,000 psf,” she says. Lynette Seet, director of Full Homes Realty Sdn Bhd, however, says though Mont'Kiara and North Kiara are considered high-end, prospective buyers of Residensi Sefina units may be put off by the nearby Kampung Segambut Dalam. “Still, I believe buyers should not be too concerned about the wooden houses as these will be cleared for future developments.